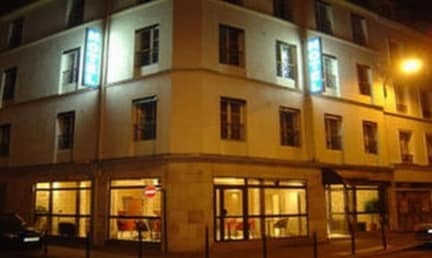 The place is very close to the train station and there are many restaurants and bars nearby. Staff were ok. Pretty small but nothing to really complain about. Was told there would be towels for rent but when I arrived they didn't have any available and was told they would be available in the morning. No towels in the morning either so had to dry off after shower with a shirt. No atmosphere, you'll have to go into town for that. Pretty much just a place to lay your head for the night. The room is very smelly, unfortunately. The room was fine but I felt a little nervous in the streets around the hotel. I felt uncomfortable leaving the key and not being able to take one. The walls were thin, the sounds travelled too easily, and the windows seemed insecure. 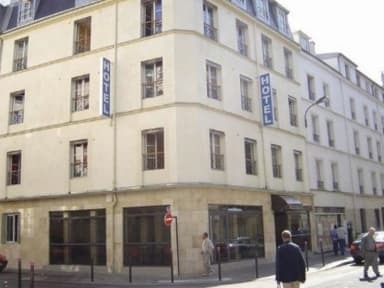 The staff were quite helful, my stay was okay but I would not really recomend this hostel.